SQL Server is Microsoft's flagship database product - and very capable it is. One of my products is an Auction Site called PDQAuction. I make use of extensive performance logging during an auction to help us determine the performance of transactions as they are queued, and to identify potential bottle-necks. This includes information such as the time it takes to render a page in the browser, or the time it takes for a query to retrieve data from a table. During a typical auction, it may generate as many as a quarter million rows (records) of such information. And this all takes place in the background while the SQL Server continues to service bidder page requests and accept bids. During "crunch time" as the auction closes, we may have 500 to 600 people online simultaneously(or rather I should say, furiously and feverishly) placing bids on their favourite items. 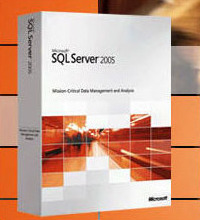 SQL Server has always matched the demand with more than enough supply. So I am quite confident that it will do the same for you. If you ask a lot of people (even a lot of developers) "What is the database? ", the answer you will get is "That's where we put the data". To which I always kinda of smile, inside, and think, "Well, yeah, I guess you could say that." But the truth is that SQL Server is far, far, more than "where we keep the data." SQL Server provides all kinds of other features from a fully featured email system, to Web Service Endpoints, to Report Writing, to ETL (Export Transform Load). SQL Server is an extraordinarily powerful product. It is complex enough that an "SQL DBA" is rarely someone who knows everything about everything that SQL Server does. We generally tend to be proficient in all aspects of it enough to keep data reliably accessible. There are "the basics" that every DBA should know about: efficient database and table/index design, Referential Integrity (ie, Foreign Keys, Constraints, Triggers, etc. ), basic scripting (TSQL, Stored Procedures), and backup and restore options, and SQL Agent Job Scheduling. But SQL Server is robust enough that DBA's can specialize in certain parts. I spend most of my time (apart form the basics) in the setup and maintenance of SQL Mail, Transactional and Merge Replication, and Auditing areas. Others may specialise in ETL with SSIS, or reporting using SSRS. Other's may specialize as liasons to the Application Development people. The "Pure DBA" position is really kind of rare these days. We all end up doing more than just one thing. As both a developer and a DBA, I often find myself on both sides of the fence. And, as a developer, I will often "farm out" a lot of the work that would ordinarily have to be done in programming work to the database instead. You might be suprised how often I turn software development projects into SQL Server Agent jobs. For instance, the user of one of my long running applications recently came to me and suggested that they absolutely must have an email sent every time some new electronic work document was created. They were suprised that the application suddenly began sending email notification alerts when those documents were created even though I never quoted them a software development project, never changed a single line of production code, and made absolutely no modifications to their application at all. How? Easily! A new database trigger, a new stored procedure in my SQL Mail Interface Layer, and one additional SQL Agent Job. Viola! Email Notifications begin to appear in user email inboxes around the country! Someone once said that "Some men are born destined to greatness. And other's have greatness thrust upon them." Being a DBA is kind of like that. You may specialize in one or another aspect of SQL Server, but one thing is sure, if you are the DBA, and one morning something doesn't work, the recovery is going to be thrust upon you. SQL DBA's are people with a real knack for getting in and solving a problem, even if they are not the expert in that particular area. We are not so much knowledge repositories as we are problem solvers. No one knows all the answers off the top of their head. The exceptional DBA's are the one's who know how to tackle a problem, and who are determined enough to see it through until the job is done.